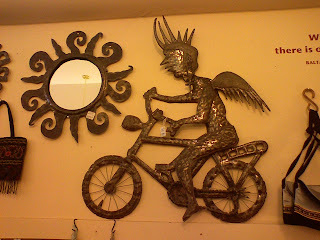 I just saw this at Ten Thousand Villages-it's a store that sells fairly traded goods from all over the world. I found this guy and he reminds me of something from Burning Man though I've never been there. He's 120 dollars. Awesome.